Valerie Toohey O'Dell has devoted most of her 30+ year legal career protecting the rights of employees. 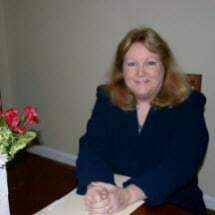 Prior to opening her own firm in 1999, she served as a Senior Trial Attorney with the U.S. EEOC, and as a Trial Attorney with the U.S. Department of Labor and the California Department of Fair Employment and Housing. Her firm represents employees in sexual and racial harassment cases, as well as discrimination and retaliation matters. She also handles wrongful termination cases and those involving violations of wage and hour laws.